A study of organic soils found that the those associated with organic gardening compared to conventional methods or native grasslands, was very similar in types and diversity of mycorrhizal fungal taxa to that of the native soils. 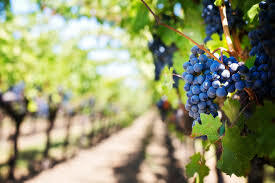 Increasingly, viticulturalists have been promoting the sustainability of using organic techniques over the fungicide heavy approaches of conventional wine management practices, and that this fundamental investment in “terroir” makes better wine. One method is to restore the density and diversity of beneficial, symbiotic fungi in the vineyard soil. These fungi are seriously depleted in soils that have had extensive chemical fertilizers, fungicides or pesticides applied. Mycorrhizal inoculum applied to new vines plantings and as a dressing to cover crop used to improve nitrogen availability in vineyard soils, associates with the vine roots and increases both the available levels of organic carbon and the water holding capacity of the surrounding soils. And with healthy vines, and a biological approach to vineyard management in place, the rhizosphere community rich in mycorrhizal fungi can influence the quality of wine produced. Gabriele et al. (2016) investigated the effect of mycorrhizal inoculation of various Sangiovese wine grapes. The symbiotic relationships improved the oxidative stability, thus the potential ability of the wine to age, and increased 14 polyphenols compared to un-inoculated plants. The later effect may improve the structure and the flavor profile of the wine. I’ve asked to join the downstream portion of the research team to investigate the impact of these changes on the consumers experience.